From Thursday, January 17th at 9AM PST to Monday, January 21st at 10am, we are running a special weekend event where you can earn Bonus Commendation XP by completing any Duty Officer assignments! To those junior officers who work tirelessly in cramped Jefferies Tubes, perish namelessly on away missions, or provide the endless streams of reports and analysis necessary for a starship to function – this event is dedicated to you! During this event, you’ll gain a 50% increase in all Commendation XP earned by completion of Duty Officer assignments. You don’t need to do anything special for this bonus – it’s automatic. Receive a FREE* special Purple quality duty officer with a unique active roster power by speaking with your duty officer contact. For Starfleet officers and Romulan allies, this is an engineering Exocomp duty officer; for KDF officers and Romulan allies, it is a Reman duty officer. *This is not available if you already claimed it the last time we ran the event. Duty officer packs** opened during the event will each have a FREE additional Green quality or better duty officer inside. This only applies to C-Store purchased packs, not to those awarded during rank-up, from recruitment assignments or mini-packs. Also, it applies only to packs opened during the event, even if they are purchased prior to the event. **The packs included in this offer are: Delta Alliance Duty Officer Pack, Gamma Quadrant Duty Officer Cadre, Reinforcements Duty Officer Pack, Fleet Support Duty Officer Pack, Romulan Survivor Duty Officer Pack, Fleet Support Duty Officer Pack, Klingon Empire Duty Officer Pack and Federation Duty Officer Pack. We're happy to announce that you'll be able to enjoy 20% off all Duty Officer Packs! Captains can select from the above packs for 20% off during this event! Now is a perfect chance to fill your roster and replace those redshirts! The Academy particle scanning events are now part of the Junior Officer Appreciation Event! 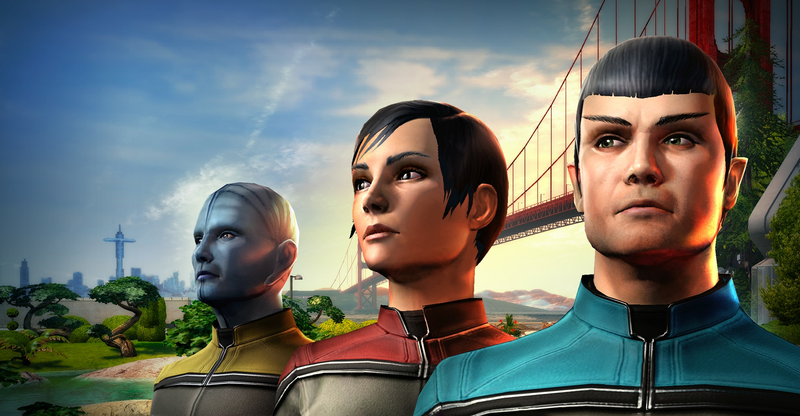 Visit Starfleet Academy or Klingon Academy during the event and speak to Professor Meyer or Commander B’Tama. Pick a cadet to train, then engage in scanning particles all about the academy grounds. As you scan and capture particles you’ll help to train the cadet, and in exchange your faction will release a new random Duty Officer to you. The more particles you scan, the better the quality of the officer you can claim! Remember, additional reserve roster duty officer slots (in increments of 25 and 100) are available from the in-game C-Store, for up to a maximum of 500 reserve roster spaces. Have fun, and try not to send too many duty officers to Sickbay!